27 See the guy on the left? 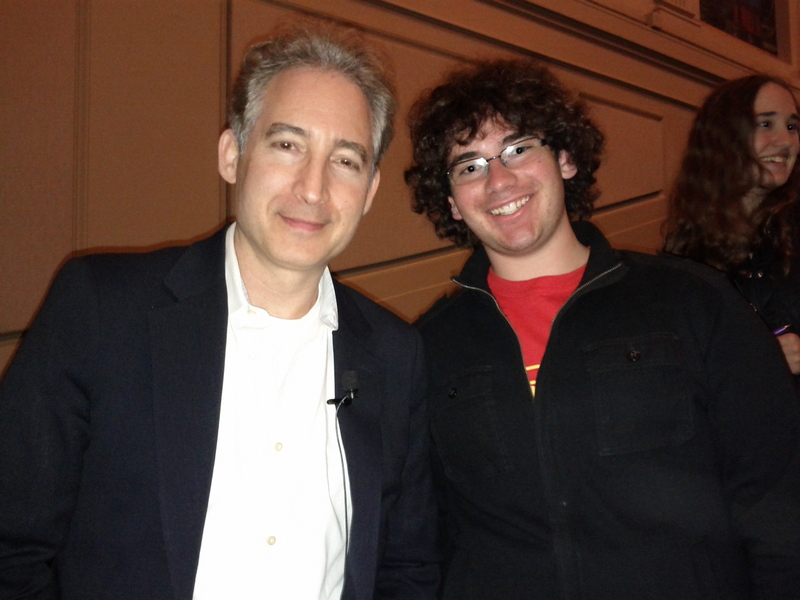 That is best selling author and star of two 3-part NOVA series on PBS, Brian Greene! The guy on the right is one of my AP students, who got his book signed by Greene and who dreams of discovering a previously unknown fundamental law of physics. We were at The Franklin Institute in Philadelphia for Greene’s talk and a panel discussion as part of the New Frontiers in Astronomy and Cosmology program. Two others of my AP students also came to the event. It was an evening of science awesomeness, especially since we sat behind Nobel Laureate Charles Townes! Amazing! 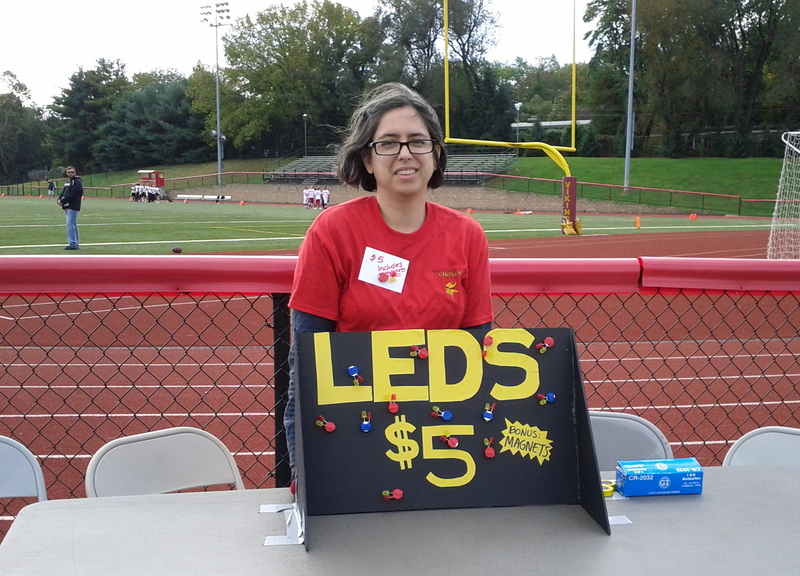 At our wacky homecoming day events, I tried to sell red and gold LEDs to wear at the game. It was pretty sunny out, though, so it was hard to tell that they actually glowed. Sigh. 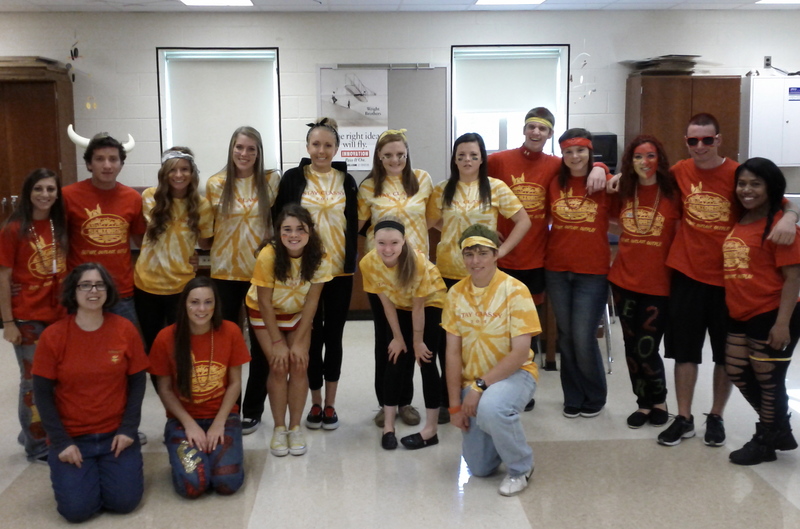 And here is our 8th period class in class colors!